The inability of German maritime policy to successfully support its domestic shipping industry is the motivation behind Wolfgang Schäuble’s pressure on the Greek government to tax shipping firms, Greek ship owners said in a statement. German finance minister Wolfgang Schäuble said last week that Greece had made progress but its political leadership “insists on putting the burden on the weak”. He also blamed country’s Premier, Alexis Tsipras for “not having taxed Greece’s powerful ship owners as he had promised”. The International Monetary Fund (IMF) and Germany have been on a collision course since the beginning of the Greek bailout regarding the country’s debt sustainability. The IMF insists that debt relief measures are urgently needed in order for it to participate in the bailout and the economy to recover, while Berlin notes that no decision can be made before the German elections in September. 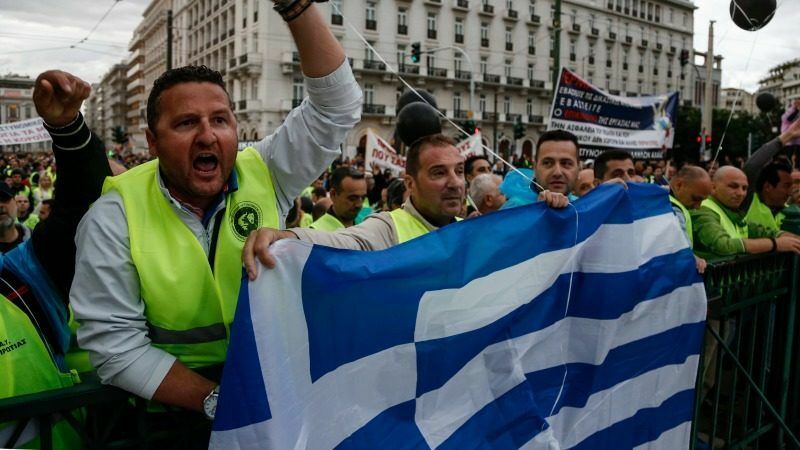 Greek lawmakers on Thursday (18 May) approved pension cuts and tax hikes sought by the country’s lenders to unlock vital financial aid, as angry demonstrators protested outside parliament over new austerity, the latest since the country plunged into crisis seven years ago. “It is now up to its partners to do the same. We call on all parties to show responsibility and to honour the important and painful work that Greece and the Greek people have done over the last months,” the spokesperson said. EURACTIV Greece’s media partner Euro2day.gr reported this week that the Commission and the German government are not having the best of times due to the ongoing Greek crisis. Referring to a recent meeting between Schäuble and Commission President Jean-Claude Juncker, the report noted that the two men had not spoken even on the phone for 4 months due to the European Commission’s interventions in the Greek debt crisis. 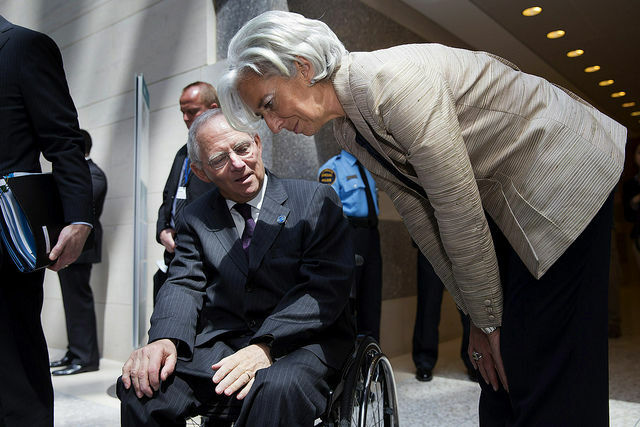 In addition, the article noted that Schäuble was upset with Juncker because he repeatedly bypassed him and tried to find a solution to the crisis by speaking directly to Chancellor Angela Merkel. 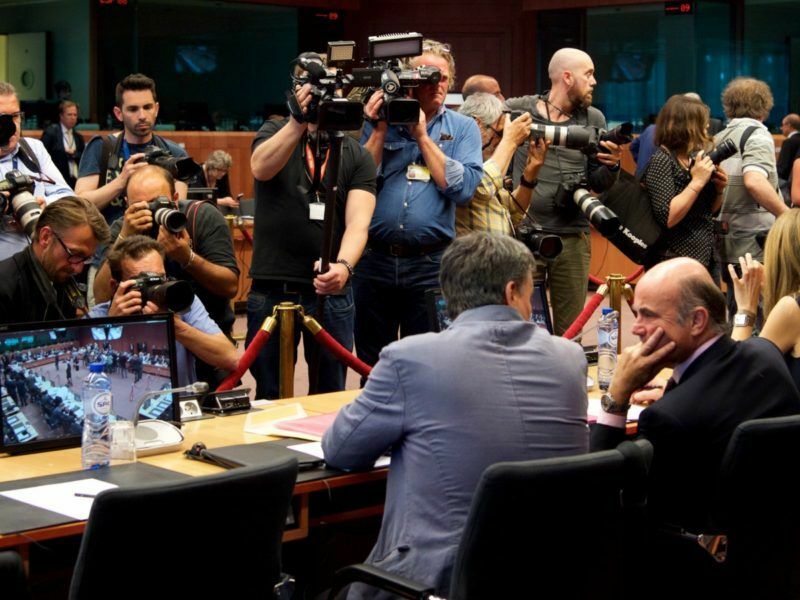 Eurozone finance ministers failed to reach a deal for fresh bailout cash for Greece yesterday (22 May), as a row with the International Monetary Fund over debt relief dragged on. Press reports in Athens underlined that it’s not the first time that the German politician put pressure on Greece to tax its ship owners. In the meantime, Rickmers Holding, Germany’s third biggest shipping company, filed for bankruptcy last week, raising further concerns regarding the viability of the sector. The company announced that the HSH Nordbank bank stepped down from an agreement to restructure its debt, forcing it to file for bankruptcy. The bank stressed that it carefully examined Rickmers’ business plans before deciding that they were not viable. Greek ship owners reacted strongly to Schäuble’s statement claiming that his attack “raised questions”. “Behind the statement lies the fact that much of the fleet that Germany was trying to ‘build’ was bought by Greek ship owners […] Even so, despite the fact that Germany has created the best tax framework in Europe for shipping,” Greek press quoted ship owners’ sources as saying. He stressed that at a time when the EU is called upon to underpin and enhance the competitiveness of its shipping industry against fierce international competition, Mr Schäuble’s criticisms are especially “inopportune and unfounded”. “The question that also arises is whether, despite favourable arrangements at all levels (ship ownership, ship management etc), the inability of the German maritime policy to successfully support its shipping is the motivation behind the Minister’s statement,” Veniamis said, adding that if the aim of his statement is to undermine the close ties of Greek shipping with its homeland, then “it demonstrates that he does not want to see Greece on a path of growth at last”. Minister of Shipping and Island Policy Panagiotis Kourouplis also reacted, saying that the German finance minister is in an awkward position due to Greece’s performance. “He looks for reasons to put further burden on Greece and now he remembered the ship owners’ taxation story,” Kourouplis noted. Referring to a deal with the country’s lenders, he said that they had agreed to secure Greece €420 million from the ship owners’ tax and managed to get €550 million. Very few Greek shipping companies are traded at the stock exchange. Most are family companies with no public accounts. That makes an analysis of their economic standing quite difficult. But generally Greeks are shipping commodities like oil, coal and ore. These are unsophisticated operations, often executed with low quality tonnage under foreign flags and based on low wages. The sophisticated parts of modern shipping – scheduled container services, car and gas transport, cruise shipping – are outside the competences of Greek ship owners who have dramatically failed to move up in the quality of services. They may be rich guys but they are not nearly as clever as they pretend to be.